Grosvenor Estate Agency is a long established Estate Agency specialising in residential, commercial lettings and sales and property management company. 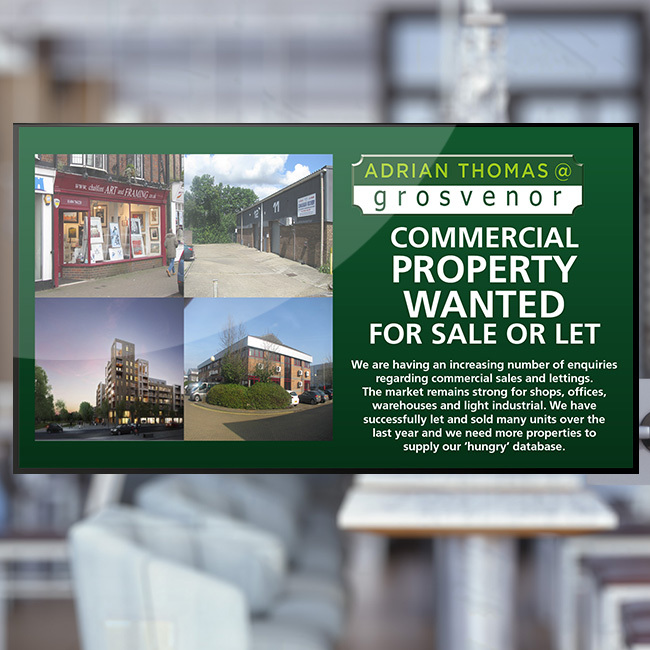 Grosvenor had a large window which they felt they weren’t utilising and wanted to have an eye-catching display that would attract new clients as they walked past. 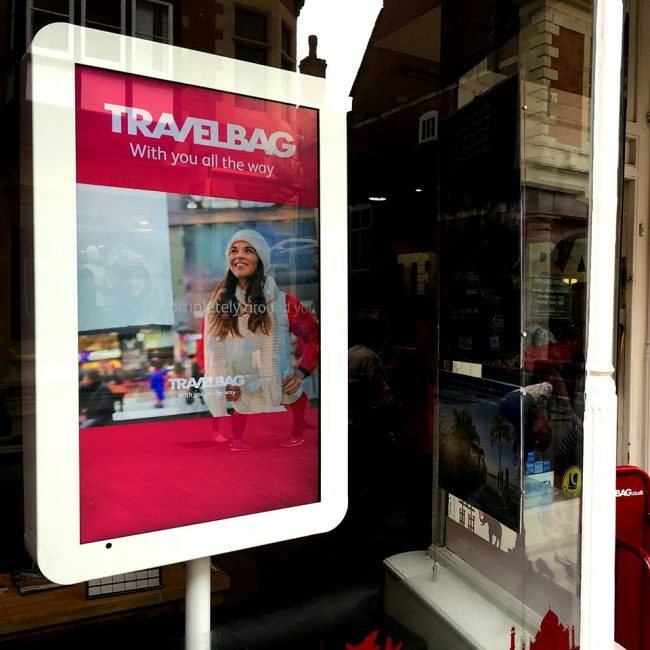 They hoped that a digital display would help the company stand out from other agencies in the area that are still using traditional paper property advert details in their shop window. I would just like to put it on the record to say how delighted I am with the service and applications of Digital Messaging. They advised me over the undoubtably right choice of technologically perfectly sized set, boasting the latest 'bright screen' technology, which is loaded remotely by their excellent team with the minimum fuss at our end. There is no doubt their company and hardware has boosted our business from both monetary and aesthetic perspectives. Grosvenor contacted Digital Messaging Company who recommended a high brightness Samsung display, specifically designed for in-window solutions at 2,500 nit. This display would outshine other in-window displays by providing clear, bright messaging 24/7. 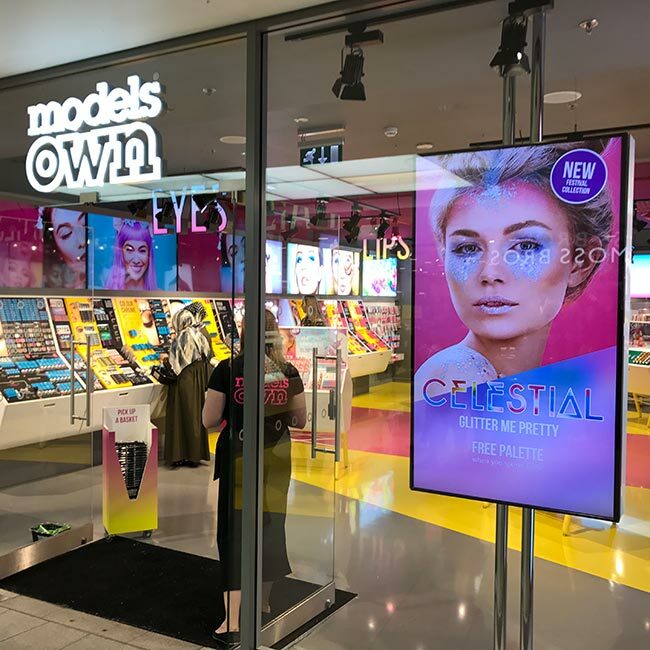 As part of the Samsung Smart Signage Platform family, the display eliminates the need for a media player, reducing costs by up to 40%, and is paired with wireless connectivity which makes it quick and easy to commission and deploy digital signage software Signagelive onto the screen. 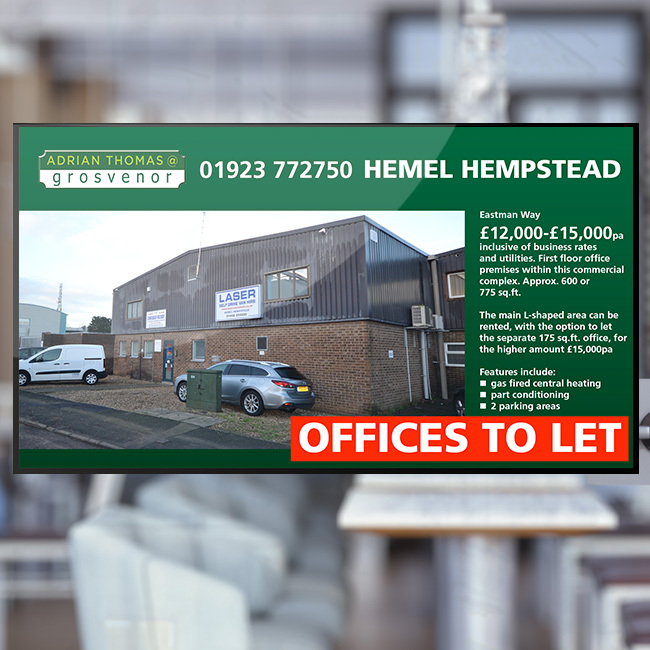 The team worked with DMC to design a vibrant and clear messaging template to showcase the company’s latest property offers which would display on the screen 24/7. 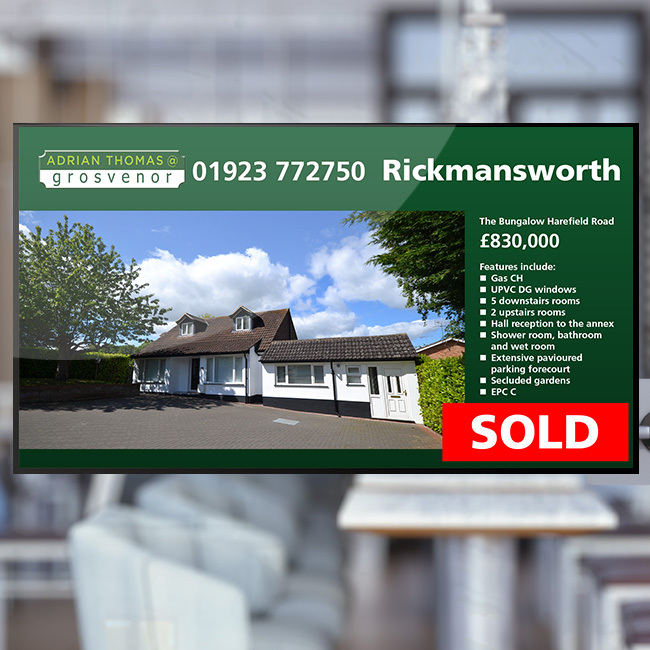 Grosvenor Estate Agency are extremely pleased with their digital signage display and the service that DMC provides on a regular basis. They have really seen the benefit of purchasing a high brightness screen as even in direct sunlight (it might not be that often in Rickmansworth) and at night time, passers-by can see the vivid imagery.